Many places claim to be child friendly but it's not until you actually get there that you realise your idea and their idea do not necessarily match up. An Ikea highchair and some stubby crayons don't always guarantee a happy little one let alone a relaxed and calm big one. So when I came across Cheeky Chinos I knew I had hit the jackpot. This place sets a seriously high bar in family friendly cafes. If you can't enjoy a hot beverage here without being compromised or interrupted by your toddlers then I doubt you can anywhere. Cheeky Chinos was originally located in South Melbourne opposite the iconic market and was claimed and treasured by locals and weekend shoppers, you know the ones having their dim sim fix. However doors closed there after a new opportunity to relocate was presented. Sad for South Melbournians but rejoice if you are in the vicinity of Chadstone Shopping Centre or regularly shop there because the ultimate parent sanctuary has arrived. Only two weeks old the vibe is strong, the tables and chairs are full and the play area is heavily sought after by parents and kids. Yes you heard me right, a play area, a fully supervised one in fact, fully furnished with soft, safe developmental play equipment designed by a psychologist is right there, nestled behind a clear gate in full view of the eating section. 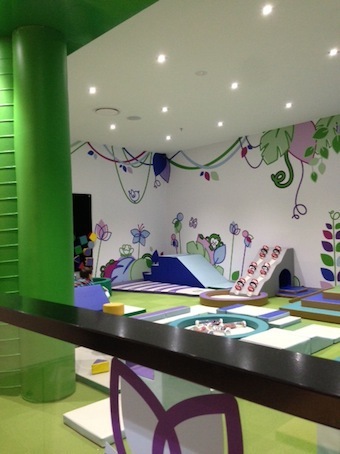 The best fun for tots in all of Chadstone. All you have to do to make the most of this excellent resource is electronically register your child on the keypad provided and wait for a cheery qualifies staff member to do the rest. You can choose from $5 for 15 minutes up to $15 for 45 minutes. Now that is possibly even cheaper than daycare or a babysitter, neither of which you can find at Chadstone anyway. You receive a two minute warning when your allocated time period is coming to an end at which point you can choose to extend play time or take off. The latter option is normally met with some level of resentment from small people. So what to do while your happy under five rolls, slides, climbs and balances? 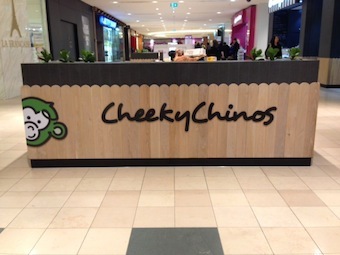 Cheeky Chinos serves a delicious and fresh range of food to enjoy at your table or to take away. There are three tiered sandwiches, yoghurt pots, wraps, salads, mezzo platters and treats like muffins, popcorn and fruit and nut slices. I decided upon the Winter Warmer soup which was tomato, vegetable and lentil. It was rich in taste and deliciously chunky. 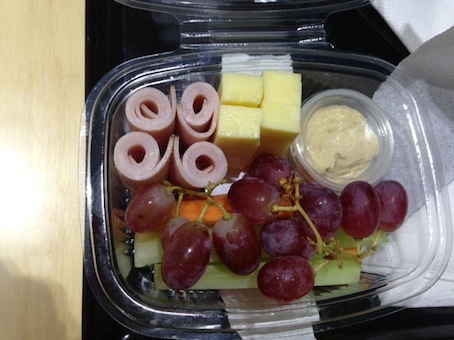 My 8 year old went for the Gruffalo Pack containing carrot and celery sticks, hummus, cheese cubes, sliced ham and grapes. She would never normally favour such a lunch so it really goes to show how important healthy and simple food options are for youngsters. Fresh, healthy and tasty meals for everyone. My latte was flavorsome and obviously made by someone who knows what they are doing behind a coffee machine. The coffee is Belaroma and Cheeky Chinos are their only Victorian stockists. However, being a child orientated establishment you can bet the kids aren't forgotten. There's a babyccino menu to send the smallest cafe connoisseurs into a spin. There are five fun themes to choose from, Cosmic, Rainbow, Chocolate, Princess and of course Traditional. Each comes dressed up with their specific coloured sprinkle, some with topping and all with a sweet treat too, like mini m&ms, marshmallows or freckles. My lunch date hasn't had any interest in babyccinos for years but even she couldn't resist tucking into a couple. For $2.50 they're not cheap but its about the price you would pay to have your kid going around in circles on an automated ride so you decide. A Rainbow babyccino is just one of the flavours you can choose from. Cheeky Chinos ticks so many boxes. It's a well thought out and orchestrated establishment which brings harmony between hungry parents and energetic kids. 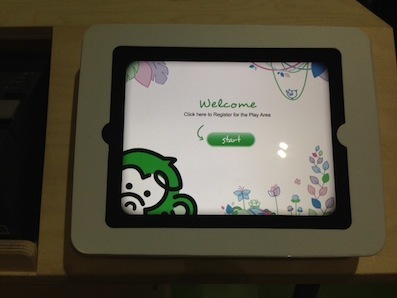 No longer do you need to rely upon a take away and the shopping centre's community play area to entertain the kids. Let's be honest, they're not always the cleanest or safest structures, especially on weekends when the boisterous big kids are about and parents are sometimes sidetracked by emails, phone calls or slipping off into a daydream (we all do it) instead of keeping an eagle eye. Gifts and keepsakes to take home as well. 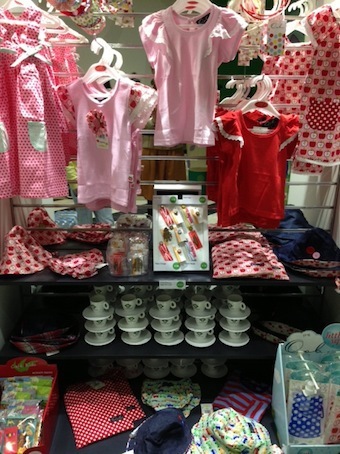 Now you can have it all, coffee, food, play equipment designed for under fives and someone to do the watching for you. 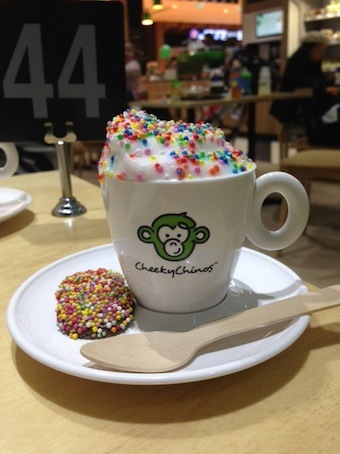 It may not be a weekly event you can afford financially or time wise but why not treat yourself and your little ones to a bit of Cheeky Chinos time next visit to Chadstone? By the way, if you can't get over what a fabulous idea this is and why you never thought of it yourself, then never fear franchise is here. Contact the store for more information and who knows maybe you'll be the next Cheeky Chinos to conquer a shopping mall. Where: Shop B165, Chadstone Shopping Centre (Located in the Loop Mall, just near Toys R Us).